Downton Abbey is back on our screens with a new series. Eagerly awaited the programme has had huge success not just in the UK but around the world including a Golden Globe for Best Miniseries or Television Film. If you have not been biten by the Downton bug yet and need to get up to speed on what Downton Abbey is all about then check out our guide and then tune in! The series is a period drama set in the Yorkshire country estate of Downton Abbey. It is set in the post-Edwardian era and revolves around the lives of the aristocratic Crawley family and their servants and friends and the effect of great events (including sinking of Titanic, World War I and Spanish flu) on their lives. The characters are split between the Crawley’s – the aristocrats, the staff of the abbey and other family and friends that come and go. The Crawley family consist of a number of key members including Robert - the Earl of Grantham and Cora - The Countess of Grantham, Violet - The Dowager Countess of Grantham, Lady Mary, Edith and Sybil and Matthew, who becomes heir, Tom Branson and Isobel. 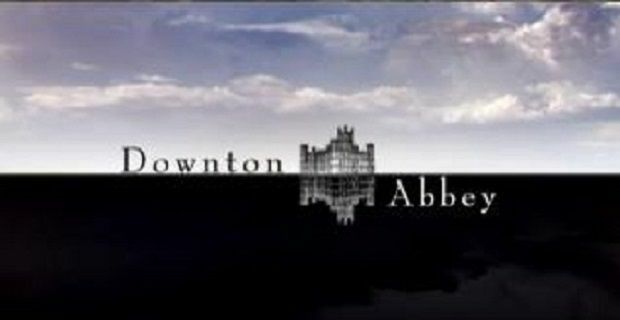 The other key group of characters in the series are the staff of Downton. There is a long list of staff in Downton. Mr Carson, The Butler is a key member additionally some other key members include Mrs Hughes, the housekeeper, John Bates and Sarah O’Brien. Finally we are introduced to quite a number of the Crawley family friends and acquaintances namely The Hon. Evelyn Napier, Philip Duke of Crowborough, Patrick Gordon and the Rev. Albert Travis to name but a few. The first series aired in 2010 opened on the day after the sinking of the Titanic in April 1912 and moved through to the outbreak of World War I in August 2014. Much of the series focuses on the need for a male heir to the estate and the troubled love life of Lady Mary. The second series premiered in September 2011 and ran from the period of the Battle of the Somme in 1916 to the 1918 flu pandemicwith the key characters including Matthew Crawley go off to fight in the war. Lady Sybil joins the Voluntary Aid Detachment, despite her aristocratic position and leaves Downton Abbey to marry. A single Christmas episode, visiting Downton Abbey between 1919 and 1920 aired in 2011. The third and most recent series of Downton Abbey was aired last year premiering in September 2012. It features the marriage of Mary and Matthew and Lady Sybil returns to Downton pregnant. There were finanicial difficulties on the estate after Robert lost most money on poor investments and tragedy struck when Lady Sybil died following complications from childbirth. Mr Bates, who had been imprisoned for allegedly murdering his wife, is released from prison having been proved innocent. Matthew and Tom become the new estate agent and begin to turn Downton Abbey around. A Christmas special was aired on 25th December 2012. Downton Abbey was back on our screens 22nd September for its fourth series and airs on Sunday at 9pm on ITV1.